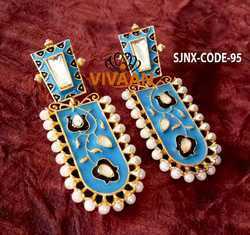 Beautiful & Traditional Triple Layer Pearl Jhumka Earring. 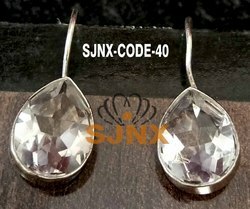 Party & Wedding Wear Earring, Pretty Look. 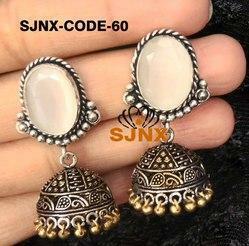 Gold Plated Traditional White Stone Party Wear Beautiful design copper base material for modern women jewellery.. 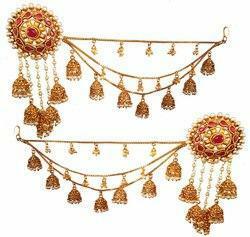 Traditional Golden earrings,Gold Plated Finishing,Gold Plated Beautiful Traditional Design Golden ball Jhumki Earring. Antique & Traditional Earring, pretty look. Wholesale rates will be different. 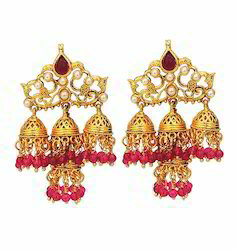 Artificial Golden earrings, Gold Plated Beautiful Traditional Pink Ruby meenakari Design Earring. 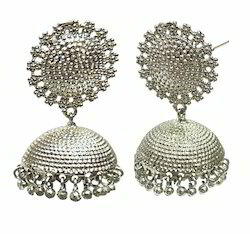 Antique & Traditional Earring, pretty look. 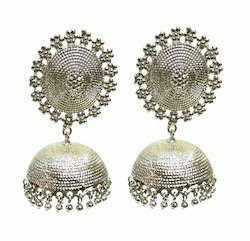 Big Ring with Jhumka Earring. Stylish Gold Plated Copper Earrings Jewellery Beatifully Design pretty look copper Base Material for women jewellery. pretty look,Beatifully Design, Keep this product away from sprays, water and other corrosive liquids, Great for an Indian wear. Wholesale rate will be different.. Artificial Golden earrings,Gold Plated Finishing,Gold Plated Beautiful Traditional Design Earring. Antique & Traditional Earring, pretty look. Elegant & Stunning Earrings Set with Gorgeous Women Jewellery Earrings pretty look Earring set,for Indian women jewellery. 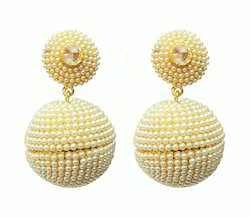 Beautiful Traditional Triple Layer Pearl Jhumka Earring. 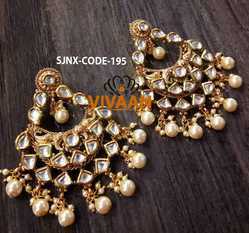 Party Wedding Wear Earring, Pretty Look. Unique Design Perfect Design Traditional Look Best Quality Product with High Quality Stone With High End Polish. Ethnic Wear. Can be worn for engagement and wedding parties. 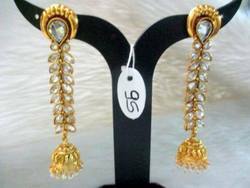 These designer chand bali earrings,Gold Plated Finishing,Gold Plated Beautiful Traditional Design Pearl Hoop Earring. Antique & Traditional Earring, pretty look. Traditional & Beautiful Earring , Golden Colour For Women & Girls high Matte polish lightweight and skin friendly on With Product Material Copper Base Material,..
Wholesale customer will get discount.